AeroFoil is a full-featured airfoil analysis program, integrated with the very best multi-point inverse airfoil design tool available, and all at a very affordable price. You may down-load a free copy of Version 3.2 and evaluate it for 14 days. You will be able to perform all of the calculations of airfoil design and analysis but not print or save any data. After 14 days, it will automatically convert to AeroFoil Lite. The lite version will perform all calculations, but only on a limited set of airfoils. You may continue to use AeroFoil Lite as long as you like and it may be registered at any time. Registered users of previous versions of AeroFoil may upgrade to Version 3.2 at no cost. Please contact donreid@AeroFoilEngineering.com for details. AeroFoil is an airfoil design and analysis program written in Visual Basic. It is intended to be the most "user-friendly" of its type. 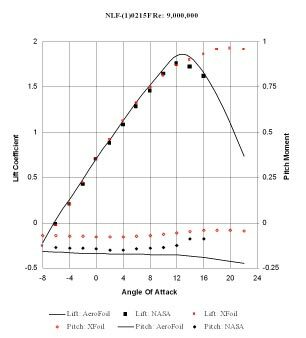 AeroFoil uses the vortex panel method and integral boundary layer equations to calculate drag, lift, and airfoil pitching moment at different angles of attack. Direct comparisons of up to three airfoils at a time may be performed. 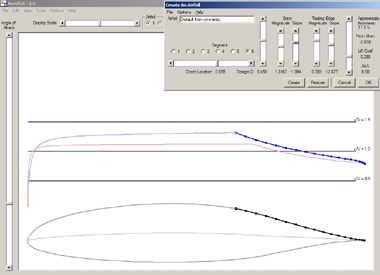 Airfoil design with AeroFoil is both easy and powerful. Changes to the performance characteristics of an airfoil may be made in seconds. Calculations are performed at either constant velocity, as in a wind tunnel, or in one of two simulations of the actual conditions of an airfoil in flight. The airfoil is defined by readily available coordinate data, created using NACA methods, a simple transformation model, or generated from a user-defined velocity profile through what is known as inverse design. Results show an excellent comparison to published wind tunnel data. 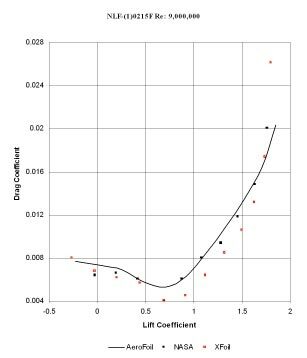 When compared with XFoil Version 6.94, AeroFoil has a higher degree of accuracy, particularly in the estimation of post-stall behavior and the maximum coefficient of lift and angle of attack at which the maximum will occur. AeroFoil's most powerful feature is its ability to create new airfoils using what is known as inverse design. The design process is fully automated and requires no unusual knowledge of aerodynamics. 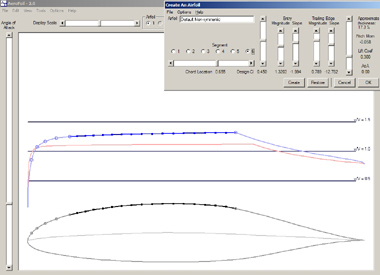 Using nothing more than slider bars and radio buttons, the AeroFoil user can tailor specific regions of an airfoil to meet the desired design parameters. No other inverse design software is as simple to use. The local air velocity over an airfoil defines all of its performance characteristics. Using AeroFoil, the designer creates a specific velocity profile and AeroFoil does the rest. 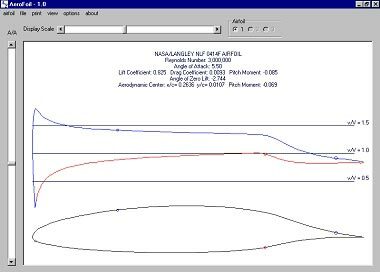 It takes only seconds to alter the performance characteristics of your new airfoil. 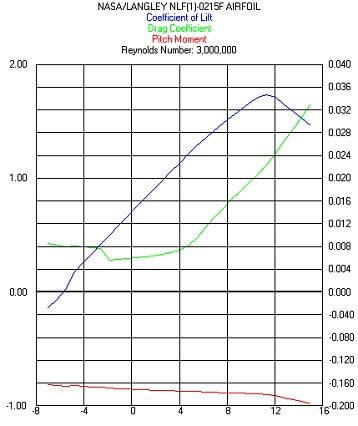 Maximum lift, pitch moment, drag coefficient, and even airfoil dimensions are changed with just a mouse click and drag. The vast majority of other airfoil design programs which claim to perform inverse design are based on trail-and-error re-drawing of the airfoil. True inverse design is vastly different and has previously been reserved for aerodynamic experts. AeroFoil puts the inverse design process within reach of anyone with a general knowledge of how a wing works. AeroFoil is available for download now. It comes with a free 14 day evaluation period and a single user license for between $20 and $150. If you choose not to register your copy of AeroFoil by the end of the trial period, it will automatically convert to AeroFoil Lite. 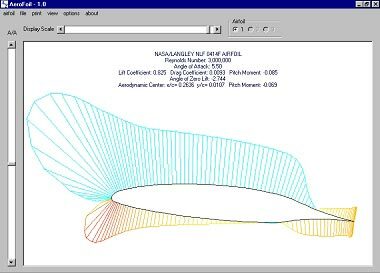 All calculation options will be available, but only on a limited set of airfoils. AeroFoil Lite may be registered at any time to restore features. Please include the word "AeroFoil" in the subject line.